Craving cheesecake? 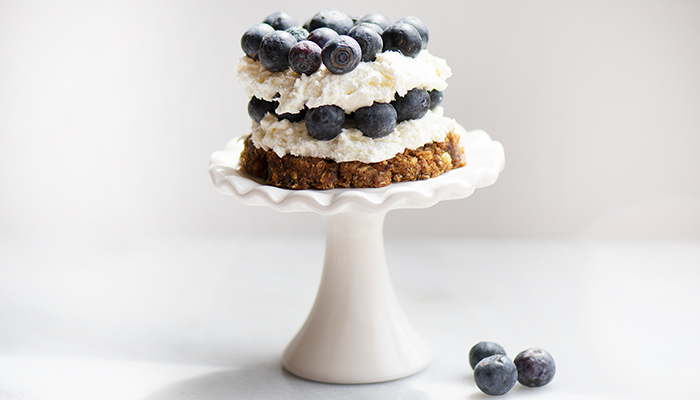 Enjoy this high fiber twist on blueberry cheesecake, it’s delicious and good for you! Plus, you are going to love how easily these No-Bake Cheesecakes come together! Start by forming the Fiber d’Lish Blueberry Cobbler bar into a circle as the base of your mini cheesecakes. Then place everything except blueberries into a food processor and process until smooth. Refrigerate until ready to eat. Then spoon the cheesecake mixture evenly over the crust. Then layer with blueberries until you have 2 tiers. Enjoy!